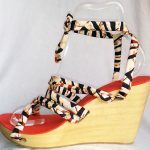 A wedge with changeable upper straps. 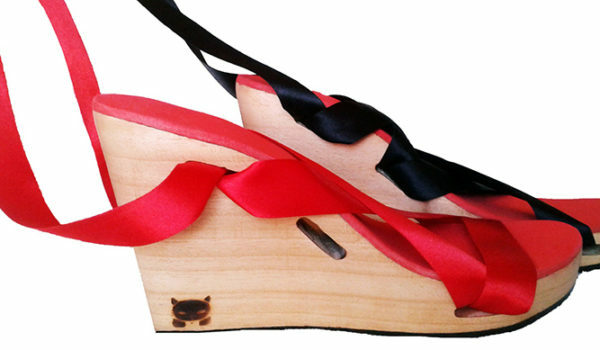 Each pair comes with 2 sets of ribbon in plain colour (black, red). 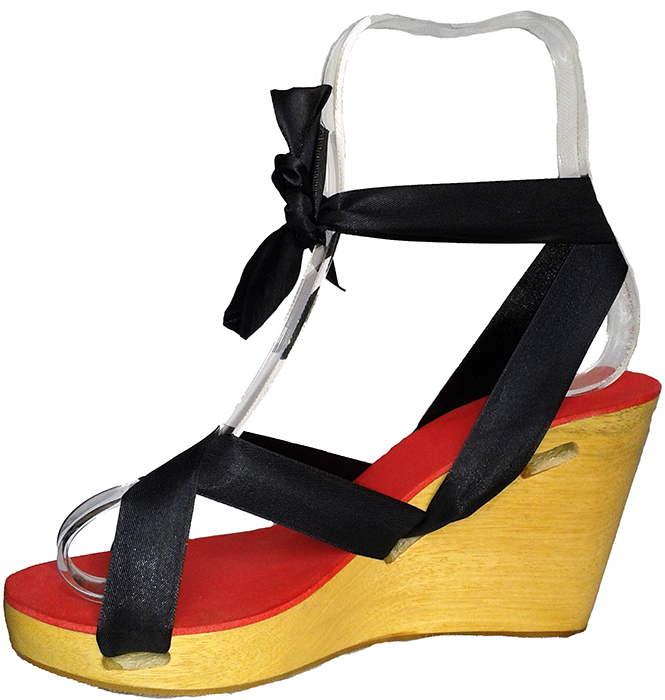 The sole colour, width, size, heel height, etc. 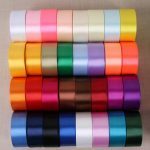 can be customised to your requirements. Contact us for details. 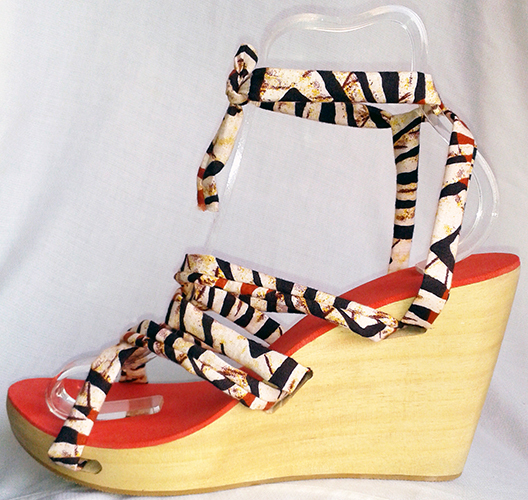 Our shoes are made to order. Please allow 15-21 days for delivery. 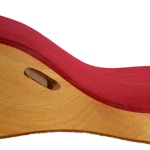 The wood used to make the products from which the photographs were taken may vary from the wood used to make the products you will receive. There may be twigs/knots and grains may vary in colour. 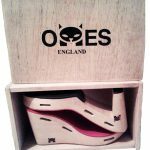 The OMES Wedge will turn heads wherever you go. Sensual, elegant, versatile for winter and summer, for the office or a night out, you will never have to worry again if your shoes suit the colour of your outfit. Just change the colour of the upper with a cloth or ribbon. 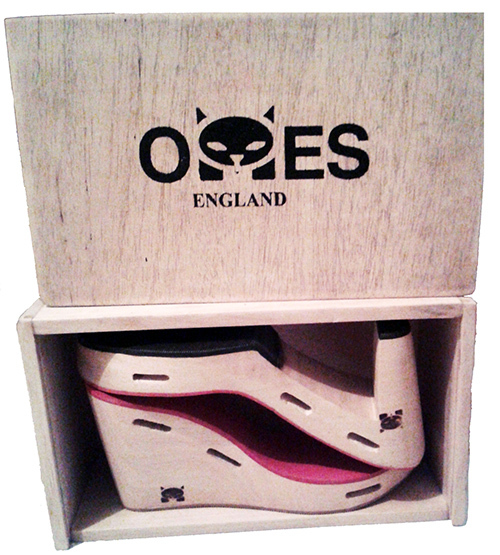 The sole is made from a sustainable wood so light that you can run all day in the office or dance all night with them. 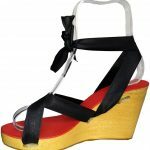 The wood has been scratched by lions and elephants and used to the hot African sun and heavy tropical rains, making these shoes tough and warm. 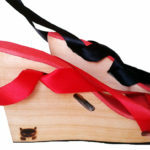 Treated with anti-bacterial wax, they won’t get old easily and will last a long time. 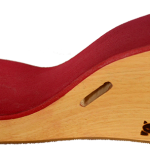 The footbed ensures a correct posture while the shock-absorbing outsole made of recycled rubber ensures protection of your heel bones and prevent back pains.